We received a review copy of The Nut Job 2: Nutty By Nature to help with creating our Honey Ginger Candied Nuts. The holidays are here in full force! 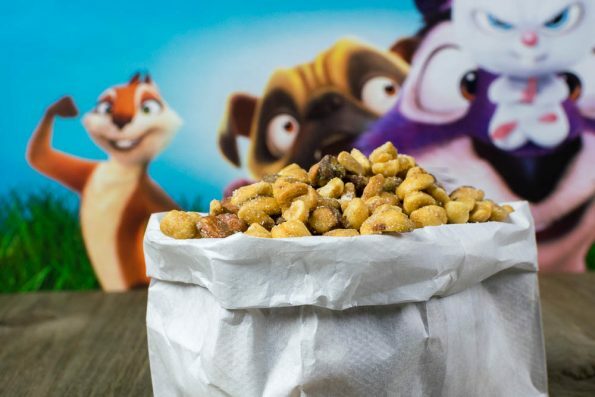 When we were sent a review copy of The Nut Job 2: Nutty By Nature, we wanted to create a recipe that was not only themed for the movie, but could also become a gift itself. What kind of recipe could be a a gift as well? Honey Ginger Candied Nuts, that’s what! Aside from the obvious nut connection, our Honey Ginger Candied Nuts were inspired by a couple things from The Nut Job 2: Nutty By Nature. 1st was the group of animals themselves. With there being so many different types coming together, we decided that we should use several different types of nuts. The other inspiration came from Jackie Chan’s character, Mr. Feng. We wanted to use some sort of spice or seasoning from Chan’s native Hong Kong, so we went with ginger. What goes better with honey than ginger? 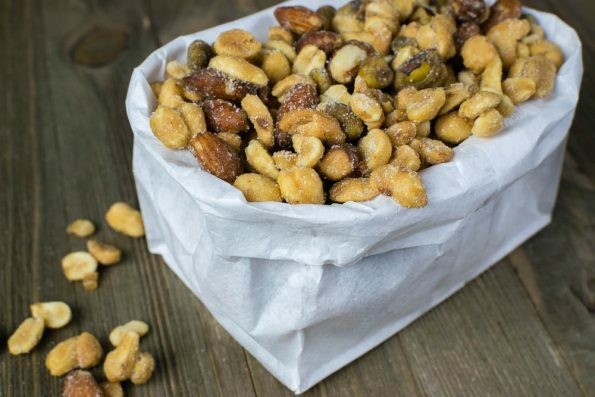 We hope you enjoy our recipe from Honey Ginger Candied Nuts! They make a fantastic gift along with a copy of The Nut Job 2: Nutty by Nature! Be sure to check it out! It’s available now on Blu-Ray, DVD, and Digital HD! In a large bowl combine the regular sugar and ground sugar. In a medium saucepan, combine honey and brown sugar. Add nuts to sauce pan. Allow to cool on a parchment lined cookie sheet. Package for gifts or serve. The Geeks were provided with a copy of The Nut Job 2: Nutty By Nature for research purposes. Images and title treatments were used with permission. All opinions are wholly our own. View our Disclosure Policy for more info.